To many people, cleaning a chest freezer means simply pulling out all of the food and allowing the appliance to defrost. 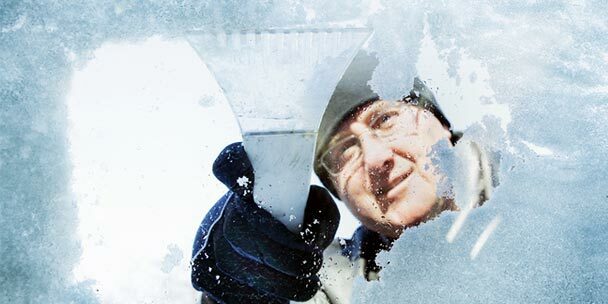 Defrosting is a vital step, but it is not the only thing that should be done. 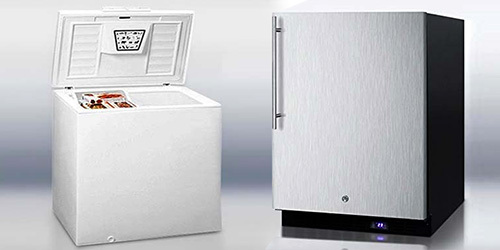 To ensure optimal performance and keep your utility bills low, it is necessary to clean the appliance to prevent cross contamination and unsanitary freezer conditions. With minimal care and periodic cleanings throughout the year, your chest freezer can last many years. Here are five cleaning tips you can use to make this task easier. Even though this appliance has an off switch, it is still a good idea to unplug the freezer prior to cleaning it. This will prevent the risk of electrical shock and injuries that could occur as the result of you defrosting and cleaning your freezer. Make sure your freezer is situated in a spot where cleaning it will not cause any damage to your floors or your appliance. If necessary, place old newspapers and towels under your appliance. Chances are you have a great deal of frozen food inside of your freezer, and some of those foods have not been seen for many months. Now is a good time to take an inventory of what is inside of your freezer. 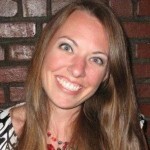 As you remove your frozen food from the freezer, write down the names and dates that are on the labels and containers. Take a look at the foods and smell them. Discard any spoiled frozen foods. Place all frozen food that is being kept into plastic storage totes or large containers that have lids. By storing all frozen food together in sealed storage containers, you can prevent premature thawing while you are cleaning your chest freezer. You may want to line those containers with paper and plastic bags to make cleaning much easier once the food is placed back into the freezer. 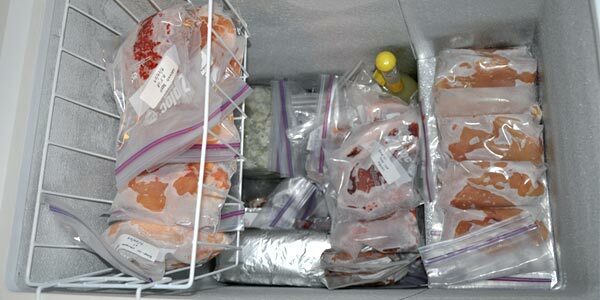 Once all of the food has been removed, inventoried, and placed into storage totes, you need to defrost the freezer. The defrosting process can take several hours if you just leave the lid to the appliance open. Defrosting the chest freezer will remove all of the built up frost and ice that coats the walls and baskets. If you are pressed for time, you can speed up the thawing process two ways. Place a large container of hot water in the freezer. Close the lid, and allow the dispersion of heat and steam to melt the ice off the interior of your freezer. You may need to replace the container of hot water several times depending on the amount frost and ice that is present, and the size of your freezer. Use an old hair dryer and set it to a low heat setting. Direct the hot air all over the interior walls of your appliance. Do not let the melting water come in contact with the dryer to prevent the risk of electrical shock. Once all of the ice and frost has melted away, unplug the drain or drainage tube on your freezer. Allow all of the water to drain. Use a mild cleanser such as dish detergent, or go green and use either some baking soda or vinegar to clean your chest freezer. Place a small amount of detergent, vinegar, or baking soda in a bowl and add warm water to it. Dip a towel or cloth into the cleaning solution and wash down the inside of your freezer. Remove any shelves or baskets, and wash them in the sink to remove any spilled substances and tough stains. Rinse the inside of the appliance to remove any remaining residue. Allow the chest freezer to air dry or use a cotton cloth to pat it dry. To eliminate any lingering freezer smells, place a box of baking soda inside and close the freezer for several hours. To eliminate tough smells, place a small bowl of activated charcoal inside of the freezer. Close the lid and allow the appliance to run for two to four hours. To prevent smells in the future, always place an open box of baking soda in your freezer with your food. Replace that box of baking soda every three months. Now it is time to place all of your frozen foods back into the freezer. To prevent items from becoming cross-contaminated and forgotten about, organize the foods as you replace them in your chest freezer. Keep all foods that have a long frozen shelf life towards the bottom. Store all meats in one area on the bottom, in a categorized manner. Place the other types of food in another area. 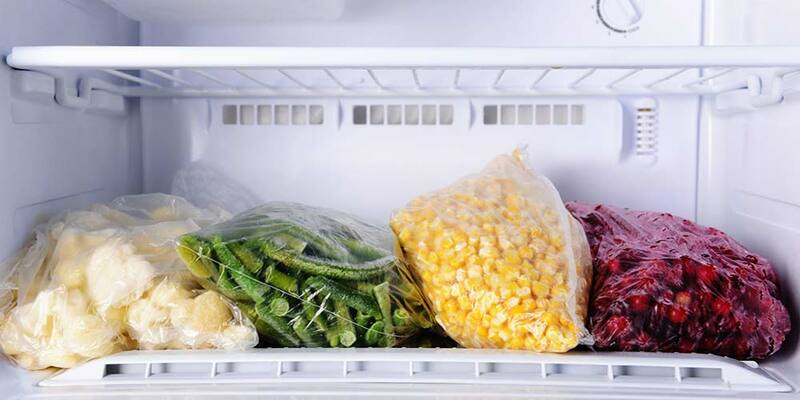 Place small bags of items that get used the most on top of the other frozen foods. Although your chest freezer may seem a little cramped once it is filled back up, one can maximize the space by strategically organizing the items to fit. Take the list of foods that you made during the inventory process and attach it to the top of your chest freezer with some tape or a magnet. Place a pen or pencil nearby so that you can add and cross off what is in your freezer whenever you go into it. 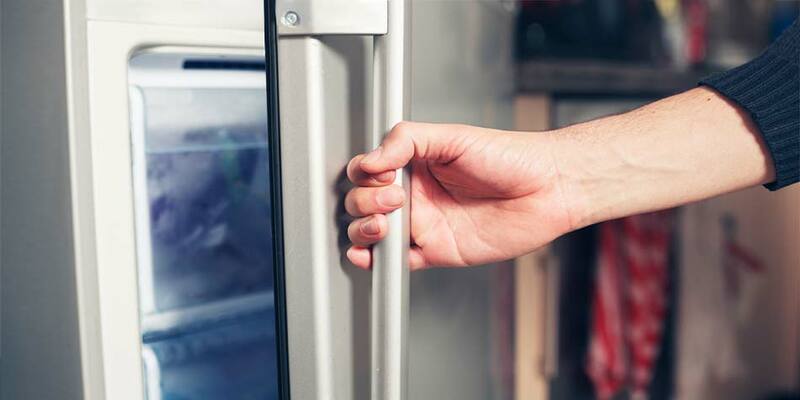 While there is not one quick way to clean a chest freezer, you can make the process much easier by cleaning your appliance two to three times a year. Take the meat out before defrosting and throw it out!